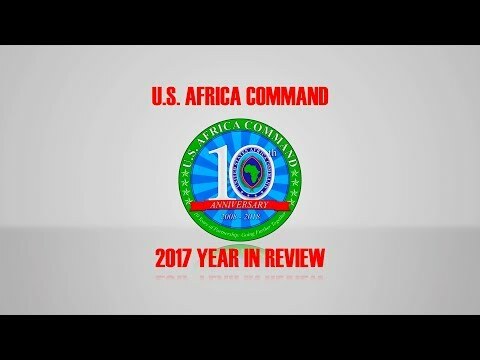 Highlights of U.S. Africa Command and components accomplishments during 2018. 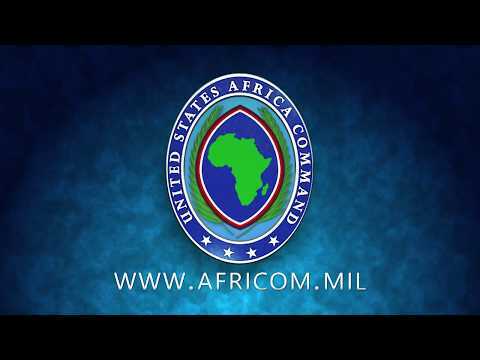 U.S. Africa Command - with partners - disrupts and neutralizes transnational threats, protects U.S. personnel and facilities, prevents and mitigates conflict, and builds African partner defense capability and capacity in order to promote regional security, stability, and prosperity. 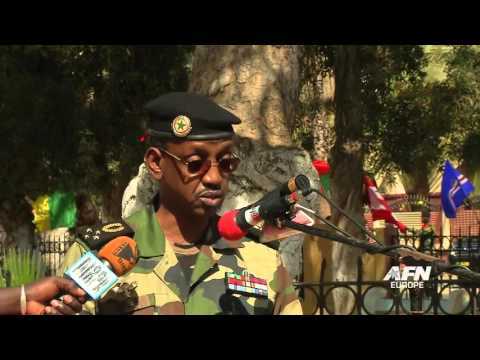 A Women, Peace and Security seminar was held April 13-14, 2018 in Niamey, Niger in conjunction with Flintlock 2018. 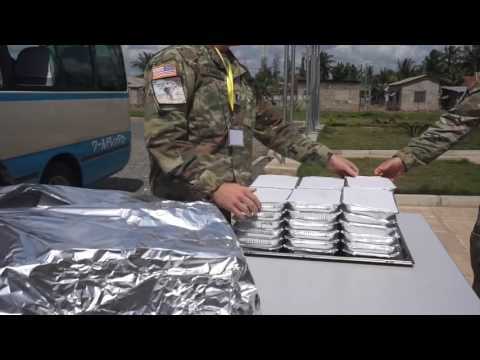 Flintlock is U.S. Africa Command's premier and largest annual Special Operations Forces exercise. 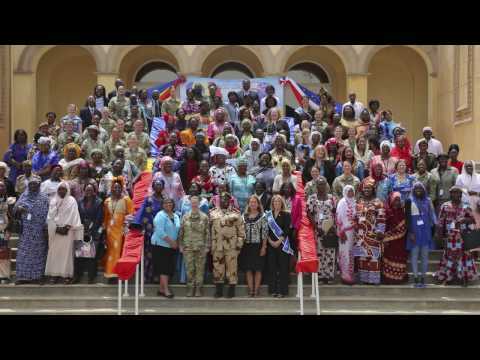 A women's peace and security seminar was held April 13-14, 2018 in Niamey, Niger in conjunction with Flintlock 2018. 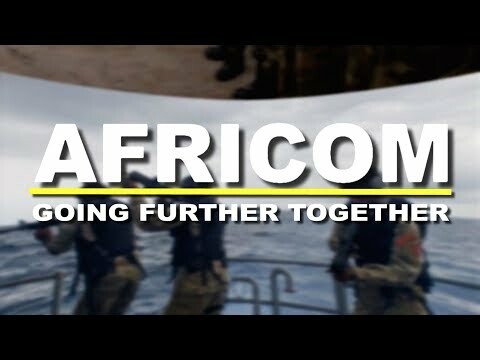 Flintlock is U.S. Africa Command's premier and largest annual Special Operations Forces exercise. 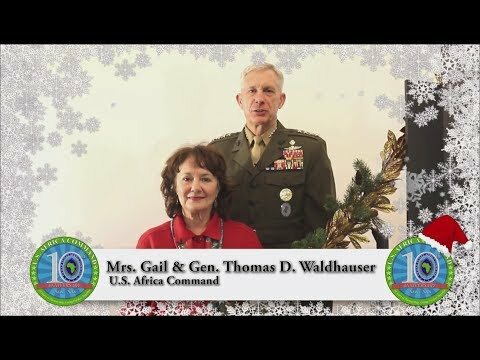 General Thomas D. Waldhauser, U.S. Africom Command (AFRICOM), discusses his top priorities for the command. 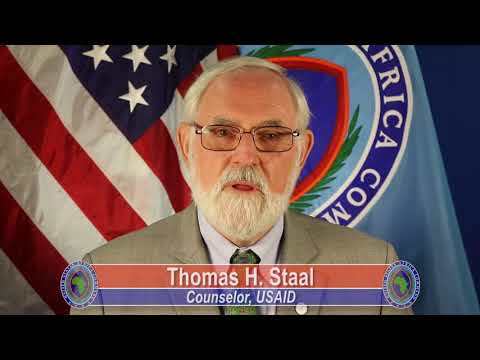 Thomas H. Staal, counselor, U.S. Agency for International Development, gives well wishes to U.S. Africa Command for its 10 year anniversary. U.S. 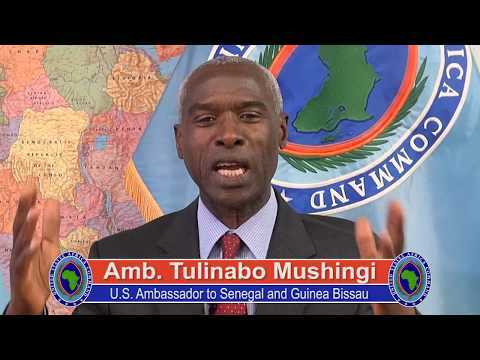 Ambassador Mushingi addresses AFRICOM's 10 year anniversary. 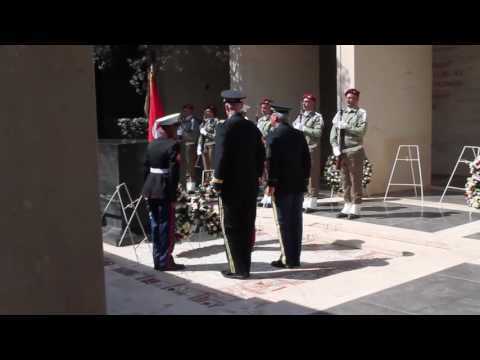 The Tunisian Army acted as host nation force battalion headquarters at Fort Polk's JRTC for the first time. 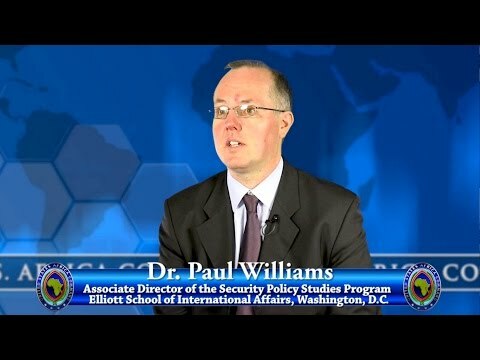 Dr. Paul Williams, Associate Director of the Security Policy Studies Program, Elliot School of International Affairs, Washington, D.C., shares his research and thoughts with U.S. Africa Command, regarding the increase of war and conflict on the African continent, since the end of the Cold War, from the early 1990s to present-day. On the eve of International Women’s Day, Special Operations Command Africa hosts a women's leadership forum in conjunction with Flintlock 2017. Multinational Special Operations Forces train with the Nigeriens in marksmanship, small unit tactics, and counter IED measures. 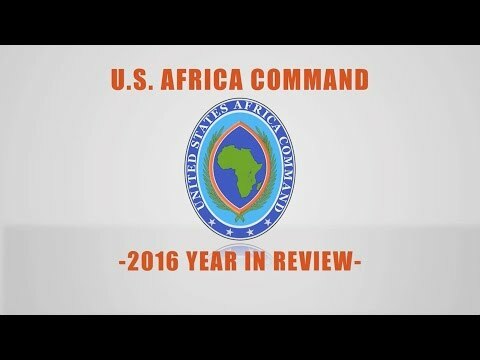 Visual highlights of the top stories from AFRICOM in 2016. 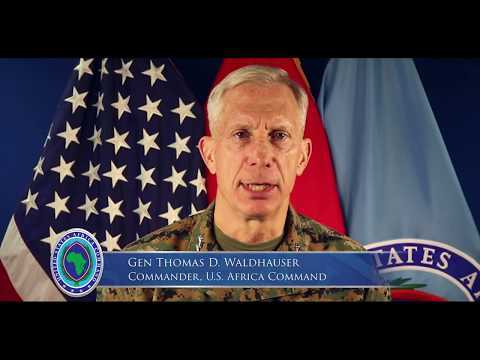 Eastern Accord 2016 is a two-week exercise that brings 9 partner nations together in Dar es Salaam, Tanzania. Every morning the participants arrive at the Tanzanian Peacekeeping Training Center and participate in a series of academic classes and planning sessions in preparation for the culminating command post exercise. They represent military staffs from each participating nation and they live and work side-by-side not only to share their best military practices but also to strengthen cross-cultural relationships. Participants are organized into a multinational headquarters staff that works together in a notional peacekeeping operation scenario. The annual, combined, joint Eastern Accord exercise brings these multiple partner nations together to practice and demonstrate proficiency in conducting peacekeeping operations together. 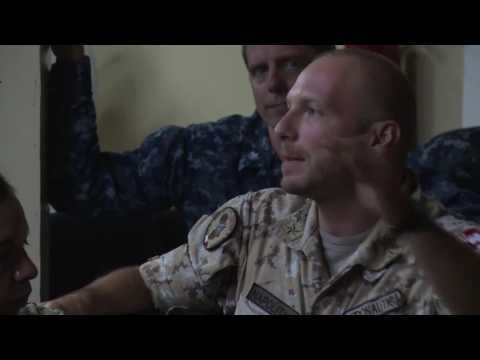 A 3-Day Tropical Medicine Course was held at Camp Lemonnier in Djibouti by the CJTF-HOA Surgeon Cell and the Navy Medicine Professional Development Center to raise awareness and recognition of infectious and communicable diseases common to this region. The course was conducted may 10-12, 2016. 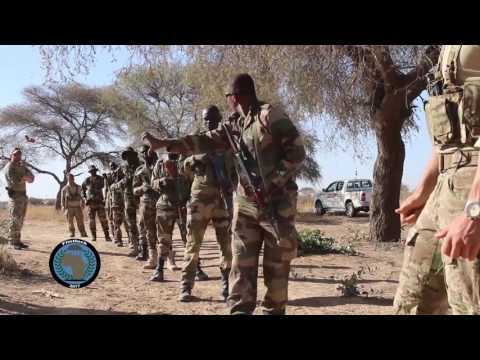 Flintlock 2016 is an annual, multinational exercise for Special Operations Forces designed to increase the military capability and capacity of partner nations in North and West Africa.